Murray-Orr is known for his meticulously-crafted sculptural works and his intense small-scale paintings. The common thread with all Murray-Orr's work is an interest in the landscape. His pared down hunting rifles, each carved from a single piece of mahogany, beautifully capture the essence of their subject with the spare elegance of near abstraction. 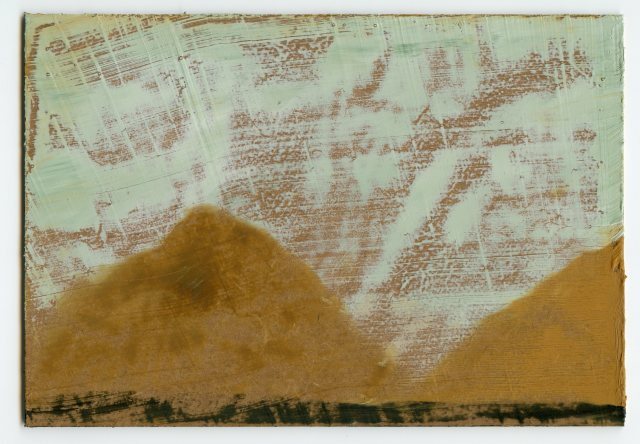 His watercolours, also presented at a solo exhibition at Ingleby Gallery in the Spring of 2011, combine velvet blacks, deep purples, rich ochres, greys and greens to form vistas reminiscent of desert or lunar landscapes. These paintings are never geographically specific but instead are a mix of childhood memories and recent travels in Asia and North Africa. These imagined landscapes share the same reductive quality as Murray-Orr's mahogany sculptures - spare, precise and deeply evocative. Ingleby Gallery presented a major solo exhibition, Thirty Small Paintings, in 2015.